If your attic is not properly insulated then you will be allowing heat to escape from your home – it is that simple. The good news is that there are steps you can take to help ensure your home is properly insulated and energy efficient. 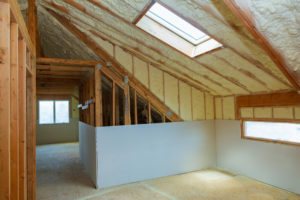 Read on to find out why it is important to insulate your attic. If you are ready to learn more about your options, contact Progressive Insulation & Windows at (800) 500-6200. Before you have the pros in to insulate your attic, take some time to clean it. Remember that animals are going to be seeking out a place to stay when it gets colder, including squirrels and birds. They can cause damage by chewing through insulation or wiring. Take the time to clean up your attic and cover any holes, spaces, or gaps that could potentially offer entry to small animals. As winter approaches, it is also a good time to inspect your roof to see if it is in need of repair. The last thing you want to do is wait until the harsh, cool weather comes and find out what your roof is not functioning correctly. 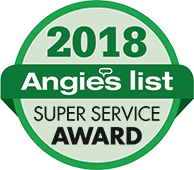 You can do your own basic roof inspection by looking for any signs of leaks, loss of granule, missing or cracked shingles, or shingles that have buckled or curved. If you see any evidence of these issues, call on a local roofing company for help. Energy audits allow you to see how you’re using energy. Once you know how it is being used, you can take steps to reduce use where it is excessive. When your attic is insulated, not only will your home feel more comfortable but you could be cutting down on energy use by as much as 50%. Your energy audit is going to tell you what areas you can make adjustments in. The good news here is that Progressive Insulation & Windows offers free energy audits. We will come to your home, check for a variety of issues, and share the results with you. We will also offer a plan to fix the issues you are having with the energy efficiency of your home. You have no risk in this evaluation and we do not pressure you to move forward with any of our suggested options. It is merely an opportunity for you to find out more about where you are wasting energy and what you can do about it. Call us today at (800) 500-6200 to get started with the process of assessing your attic’s insulation. If more is needed, or if replacement is suggested, then we will offer a comprehensive estimate that covers all costs. Call us now and let us help you find the best way forward.